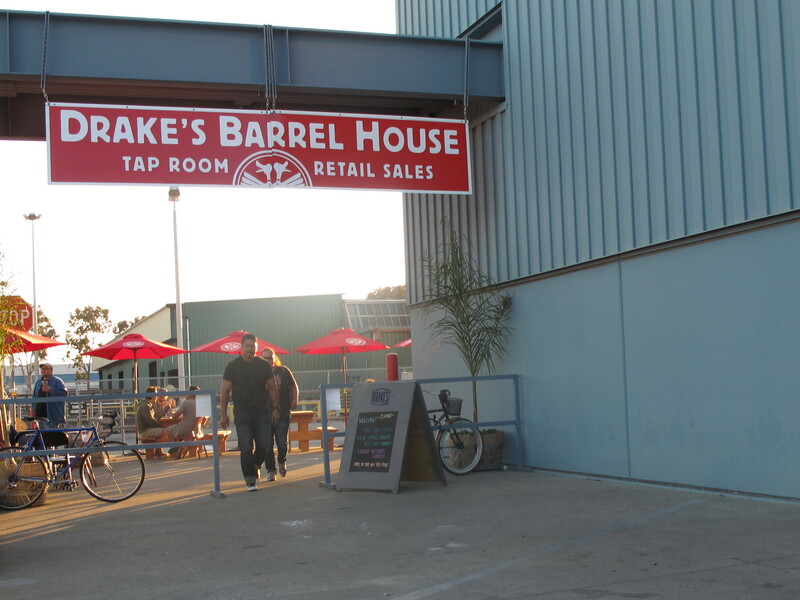 Drake’s Brewery, formerly a production-only brewery, opened a much-loved Barrel House, pouring their beers onsite here since 2011. You will find 24 taps – several devoted to hard to find barrel-aged goodies at any given time – and an outside seating area. You can also buy growlers, bottles and cases of their beers to take away. The taproom is open daily except for the 1st Friday of the month when they often host a fundraiser for a local non-profit. A light food menu is available, and on occasion, external food trucks also set up shop outside. Check the website to verify current hours. Extras: It’s a short walk to 21st Amendment Brewery. or take the free shuttle! Drake’s is located in the Westgate Shopping Center. It’s over a mile walk down Davis Street, and not a particularly aesthetic or safe one with a precarious onramp crossing at Highway 880. A free Shuttle runs every 20 min during peak commute hours between the BART station and the Westgate Shopping Center. Recently the posted times were 5:45am- 9:45am and 3pm-7pm. Check the free Links North Loop shopping shuttle site. To find a white Links north loop shuttle bus, exit the station thru the east door (San Leandro Avenue side) and turn right, looking for the bus stop sign. As you can see from the map, you could stop at Williams and Westgate Parkway, or continue all the way around to the main Westgate Mall stop. You’ll find Drake’s tucked away in back of Walmart, east of Home Depot. Walk back seeking the tell-tale brewery grain silo.